We are so grateful to our Folklife supporters who are hosting events as a part of A Night for Folklife. It is truly inspiring to have this many parties to choose from over the weekend and tonight’s concert at Laughing Ladies Cafe in Shoreline is no exception. Cajun Zydeco band, Les Chats Creole will make a cold winter evening in Seattle feel like a hot Louisiana night. Add in the intimate coffee shop setting of Laughing Ladies and you have the recipe for a perfect event! It all gets going at 7:00 tonight. So come visit Laughing Ladies in Shoreline tonight! Tara and I will be there representing Folklife and we would love to see you. 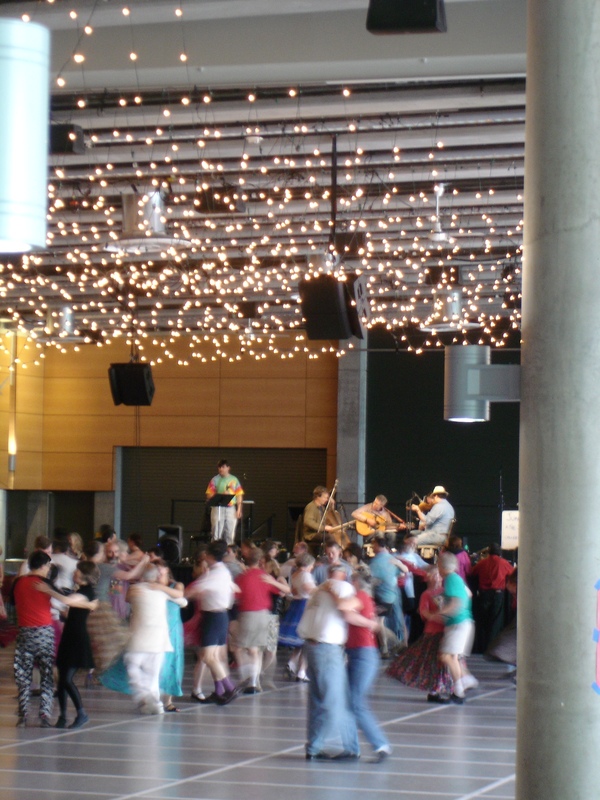 Are you looking forward to contra dancing in the Roadhouse at the Northwest Folklife Festival with childlike anticipation? Is your closet bursting with twirly skirts and dance belts? Are you routinely searching eBay for new folk dance costumes? Do the words “fragrance free” mean anything to you? If you answered “yes” to any of these questions, we have a weekend packed with enough dance events to wear out a brand new pair of shoes. Let’s go down the list, shall we? For more information on these dances or other A Night for Folklife events, see our website. Many thanks to the party hosts for all their hard work and to the venues who have been so generous to let us use their space. Get ready to rock as we roll into the holiday season! With November already here and December just around the corner, several things come to mind: turkey (duh), black Friday, Starbucks’s red holiday cups, an unusually snowy winter, and my personal favorite, A Night for Folklife events. Put your party hats on because these next few weeks Northwest Folklife’s fundraising event line-up delivers great entertainment sure to put you in a merry mood! Join us and the various communities we work with to celebrate the cultural traditions of the Pacific Northwest in a fun and festive atmosphere. From Balkan and square dancing to house parties and live concerts at local venues, our friends have pooled together to produce Folklife fundraisers truly representative of the Northwest and our organization. Some of these fundraisers consist of a ticketed event, a ‘pass the hat’, or a suggested donation but ALL events help benefit the production of the 40th Annual Northwest Folklife Festival Memorial Day Weekend, May 27-30, 2011. Also at A Night for Folklife events, we are selling memberships to our Friends of Folklife program. Don’t miss out on the special rate of $40 in honor of our 40th Festival, this May*. By becoming a member you receive several benefits including a Festival t-shirt, the latest copy of the Roots & Branches CD and a Festival store discount. Wondering when and where all these events are? Check them out right here! One Night Only Membership Deal! I have never seen Coal Miner’s Daughter. I love Loretta Lynn, so I’m psyched to watch the movie for the first time tomorrow night at the Grand Illusion in the U-District as a part of our A Night for Folklife event series. The fact that a portion of the proceeds from the night go to support Northwest Folklife just sweetens the deal that much more. The added fact that in a special membership offer, you can join both Friends of Folklife AND the Grand Illusion Cinema for the reduced rate of $65, is almost enough for me to camp out in front of the theater to ensure I get in. Clearly, this movie has it all: Sissy Spacek in an Academy Award-winning performance, a rags-to-riches storyline, great music and rhinestones. Lots and lots of rhinestones. Also, did you know that Loretta Lynn got her start right here in the Northwest? If you make it out to the show tomorrow night, we will tell you all about it! $12, Seating is limited, so buy tickets early! Tonight we will be at Lucid Jazz on the Ave to celebrate A Night for Folklife with Latin Flamenco Funk act, Deseo Carmin. As with all A Night for Folklife events, proceeds will go toward production of the upcoming 40th annual Northwest Folklife Festival. So, put on your dancing shoes and meet us there! Deseo Carmin can’t really be described as “traditional” Latin music. 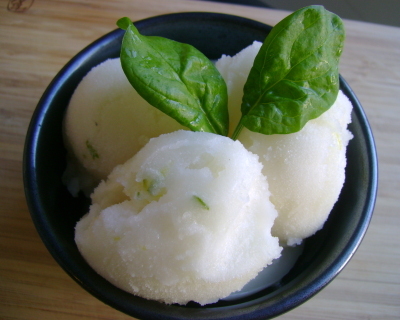 While the roots are definitely based in Flamenco guitar, the presentation is wholly unique. “Latin Flamenco Funk” is an apt description, but to get a true interpretation of their sound, you will just have to come see for yourself. Special thanks to Deseo Carmin and Lucid Jazz for supporting Folklife and helping us keep the music going all year long! Vote for your favorite Northwest Folklife inspired ice cream made by Full Tilt, today! We’ve collected all the suggestions and now it’s time to vote for your favorite flavor and name below. Then, taste the winning flavor at all Full Tilt Ice Cream locations October 9- November 16. Don’t miss the Flavor Release Party on Saturday, October 9th from 12- 2 pm at the Full Tilt White Center location. Bring the family and indulge in ice cream, enjoy live music and support Northwest Folklife, all at the same time! Starting at noon, prepare to rock out with The Not-Its! and guests. Folklife and Full Tilt will also host A Night for Folklife benefit on Saturday, November 6th from 9-11 pm at the Columbia City location. This killer combo of live music and ice cream will feature The Horde and The Harem from 9-10 pm and Ravenna Woods from 10-11 pm. Thanks to Full Tilt, 10 percent of all the Folklife flavored ice cream sold benefits Northwest Folklife- so eat ice cream, listen to music and be merry! October 9th, 12-2 pm: Flavor Release Party featuring The Not-Its! and guests at the Northwest Folklife Flavor Release Party at Full Tilt Ice Cream in White Center. November 6th, 9-11 pm: A Night for Folklife benefit, featuring The Horde and The Harem followed by Ravenna Woods at the Colombia City Full Tilt location. Tags: A Night for Folklife, Full Tilt, ice cream, Ravenna Woods, The Horde and The Harem, The Not-Its! Comments: Comments Off on What’s Your Flavor?